S.F. is a visual artist (Libra) from YWG, whose film and video work has screened at underground festivals and marginalized venues worldwide. He obtained his bachelor's degree in Film Studies at the University of Manitoba, and began conducting lo-fi moving image experiments in 2010. Primarily a filmmaker, also invested in photography, re-photography, kaleidoscope and collage. In addition to producing his own work, S.F. 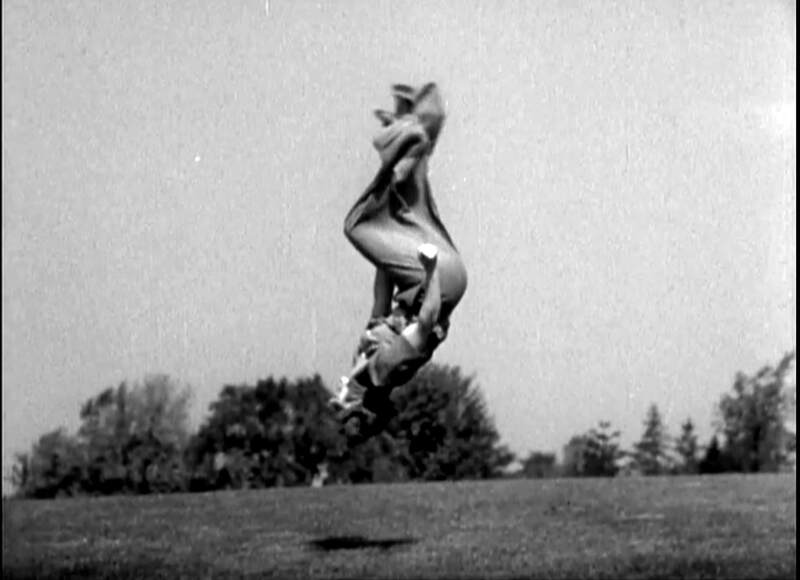 presents the work of others through the Winnipeg Underground Film Festival and Open City Cinema. Karissa Hahn (b.1992) is a visual artist who uses the mechanical devices of cinema to deconstruct former artifacts by physically transforming celluloid - an osmosis of digital manipulation & optical printing. 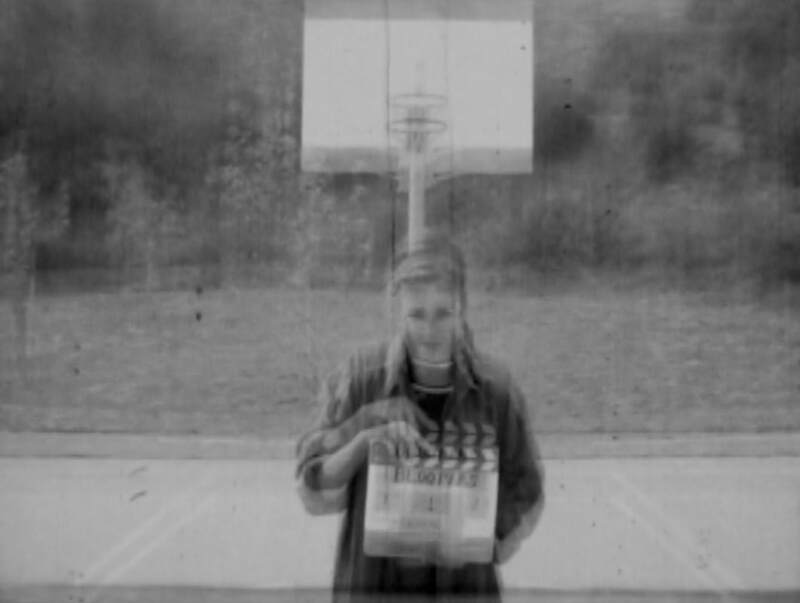 Her work often employs a series of format transfers to birth digitally-native effects on film and homogenized products which have been referred to as ‘spectra ephemera.’ Karissa currently makes performative super 8 films, digital8 videos, installations, and 16mm pieces. Hahn has shown work around the globe in various cinemas and institutions. Daniel Robin’s films have screened internationally including 3 shorts at Sundance with my olympic summer winning the Sundance Film Festival Jury Prize. The film was also selected to screen at the prestigious New Directors/New Films Festival at MoMA and Lincoln Center in New York. Other festivals of note: SXSW, Black Maria, Ann Arbor, IDFA, Indielisboa, True/False, Aspen, Curtas Vila Do Conde. Filmmaker Magazine named Robin one of the “25 New Faces of Independent Film.” In 2000 Daniel created the website http://neighborhoodfilms.com/ver05/nf_main.html where he’s produced six documentary web series. Robin is currently an Associate Professor at Georgia State University teaching documentary and fiction production. The Islands is an experimental documentary which consists of mundane objects and 35mm film photographs I took in three islands: Inishimore (Ireland), Staten Island (United States) and Tsushima Island (Japan). By constructing, re-filming and hand animating the photographs and objects, island is no more an geographical term, but a state of mind. Hsuan-Kuang is a multidisciplinary artist and filmmaker, born and raised in Taiwan, currently living and working in Los Angeles. This dislocation from her homeland deeply influences the narrative of her work, in which she explores the complexity of multicultural identity, with particular attention to landscape as a source of identity. Hsuan-Kuang's work has been shown in both national and international venues, ranging from theatres and festivals to galleries and museums. 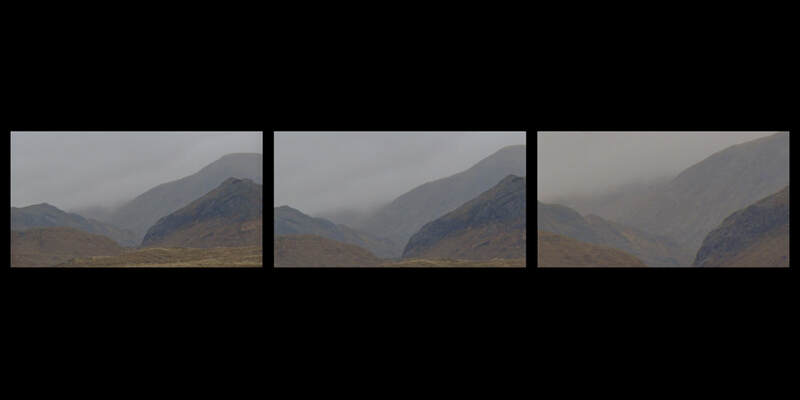 An experimental split-screen sequence of landscapes portrays a journey by overnight train from London to the mountain wilderness of the Scottish Highlands, and onwards by foot to the western shore of the Isle of Skye. The fractured nature of the sequence, blending linear and non-linear elements, and with its sometimes overlapping images and sounds, reflects how our recollections of long distance, physically tiring journeys often comprise disjointed and blurred memories of experiences. 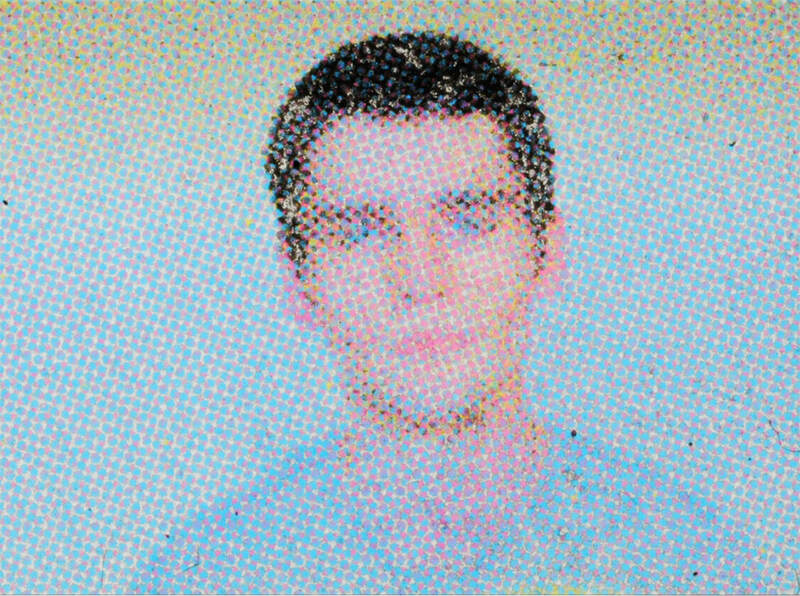 John Barlow: before recently completing a practice-based PhD in contemporary art, I worked for six years in UK politics, including roles at the UK Parliament, at the London Assembly and with the Labour Party in the South East of England. My first short after graduating, 'Coastal Drift', was selected for the 'Crossing the Screen' film festival in the UK, screening at Eastbourne's Towner Art Gallery. An interest in landscape, travel and temporality can be found in most of my work. 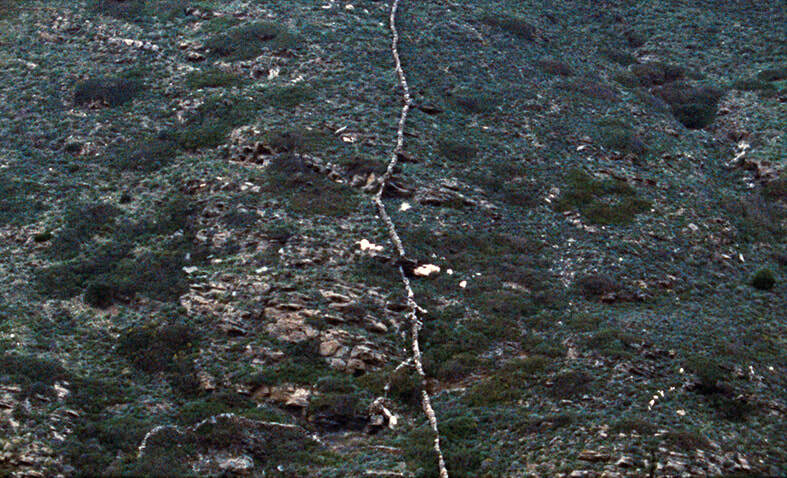 Traces of a body draw a camera across a landscape of stone and walls. Cassandra Celestin is a filmmaker and material culture researcher based between New York and Greece. She has worked on various film projects in the film collective mas sketo and is a co-founder of the Syros Int'l Film Festival in Syros, Greece. Debris" is a travelogue of a shipwreck which tries, through decomposed memories, to grab onto new flesh. His work has been shown at several international film festivals and exhibitions. His entire film production is distributed by Light Cone. He is one of the curators of Fracto, a new experimental film screening event at ACUD macht neu, Berlin. A hand-processed, black-and-white ode to the secret world of moon jellyfish (Aurelia aurita). 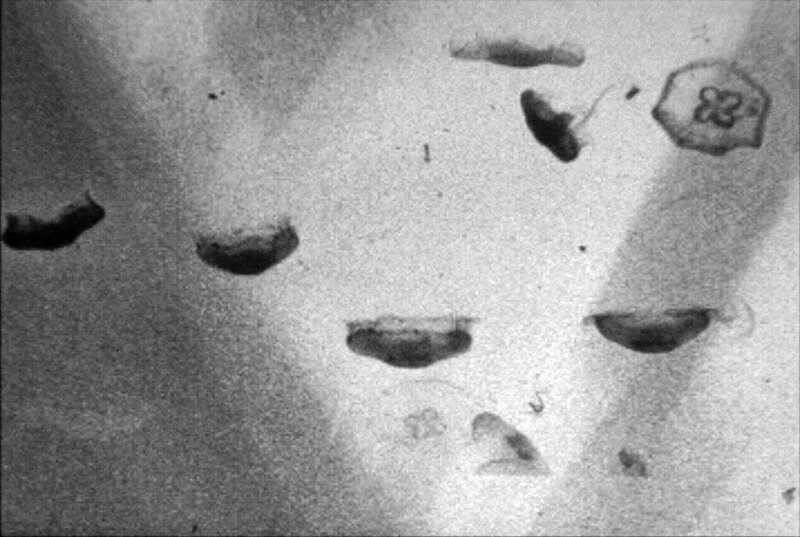 "The tide goes in, the tide goes out" revels in the material and chemical qualities of the film medium, with the fragility of the film mirroring that of the jellyfish. 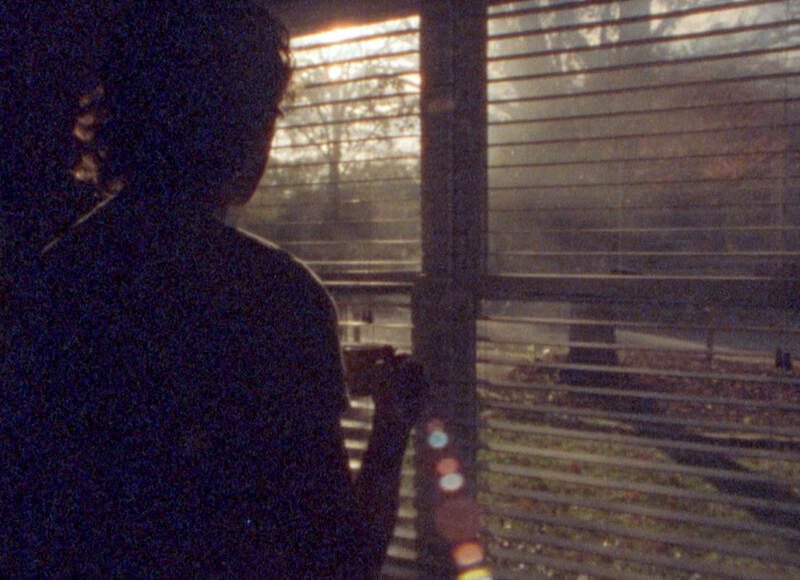 Larissa Fan is a Canadian (Toronto-based) artist who works in 16mm and Super 8 film. 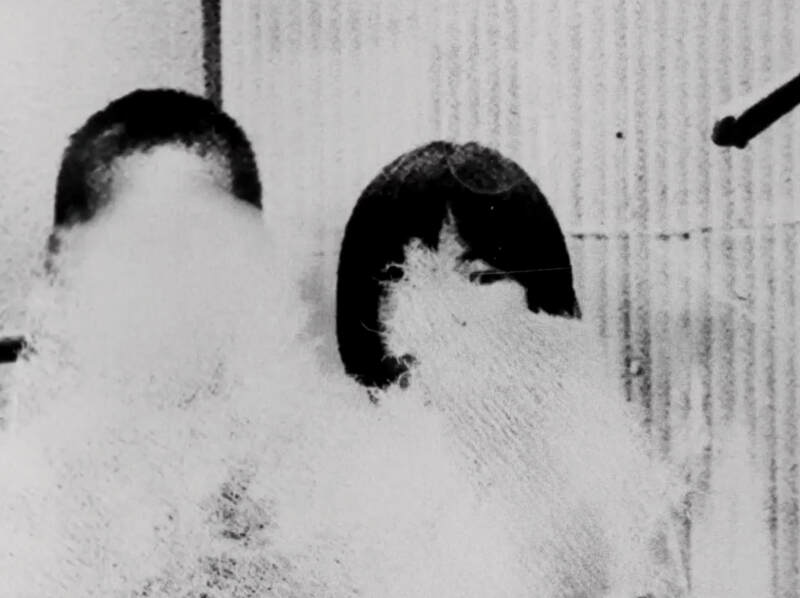 She is interested in the unique qualities of analogue media and uses experimental techniques to expressively document moments in the world around her. Her work has screened at venues internationally including Anthology Film Archives, Images Festival, and Kassel Documentary Film & Video Festival. 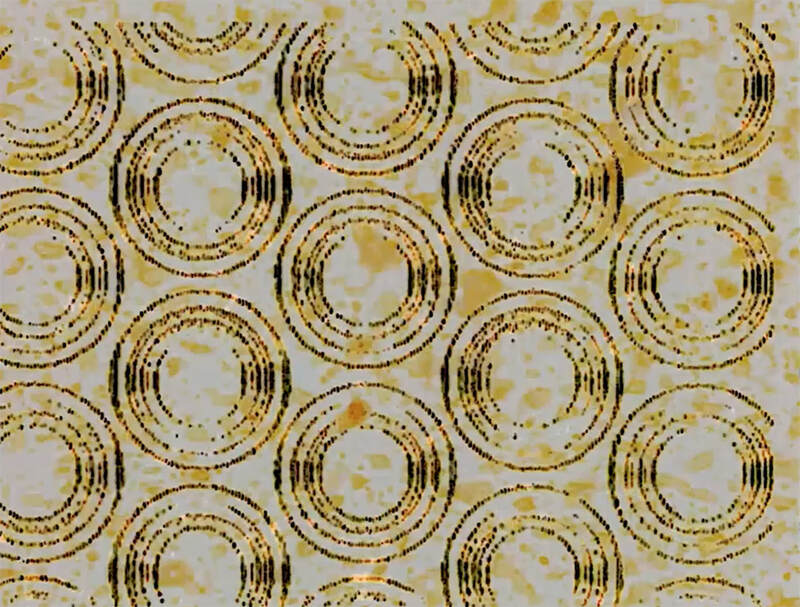 Framelines is an abstract scratch film made by laser etching patterns on the film emulsion of negative and positive 35mm film. The strips of film were then re-photographed on top of each other as photograms then contact printed. The soundtrack filters and layers the noise made by the laser etched optical track. Sabine Gruffat is an artist who works with experimental video and animation, media-enhanced performance, participatory public art, and immersive installation. She is also a filmmaker with a special interest in the social and political implications of media and technology. Sabine's films and videos have screened at festivals worldwide. She has also produced digital media works for public spaces as well as interactive installations that have been shown at the Zolla Lieberman Gallery in Chicago, Art In General, Devotion Gallery, PS1 Contemporary Art Museum, and Hudson Franklin in New York. Currently she is Associate Professor of Art at the University of North Carolina - Chapel Hill.